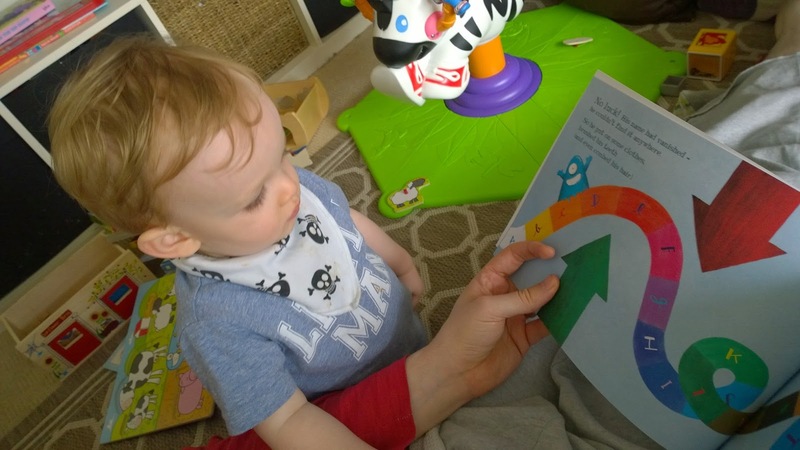 A while ago, Ste came across a very special book and it fast became one of Ethan's favourites. Well, it featured a boy called Ethan. My Ethan. It was a story called The Little Boy Who Lost His Name and it followed a fantastical journey, beautifully illustrated, all about this boy trying to find his name. 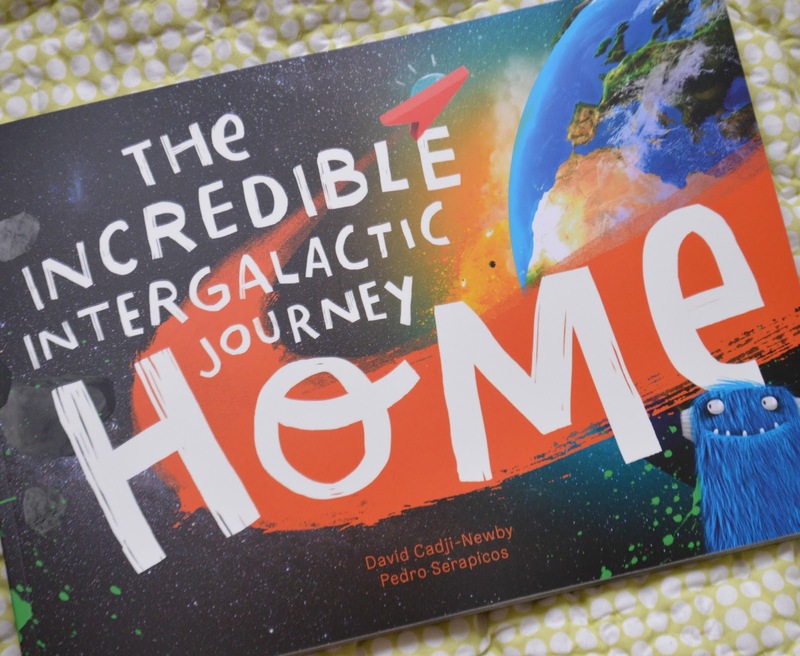 I've included my original post on this below, but I'm back today to share the latest story from the creators of Lost My Name - The Incredible Intergalactic Journey Home. It's just beautiful. Even more so than their first book, with bold illustrations and clever image play and words that spill over the page this way and that. 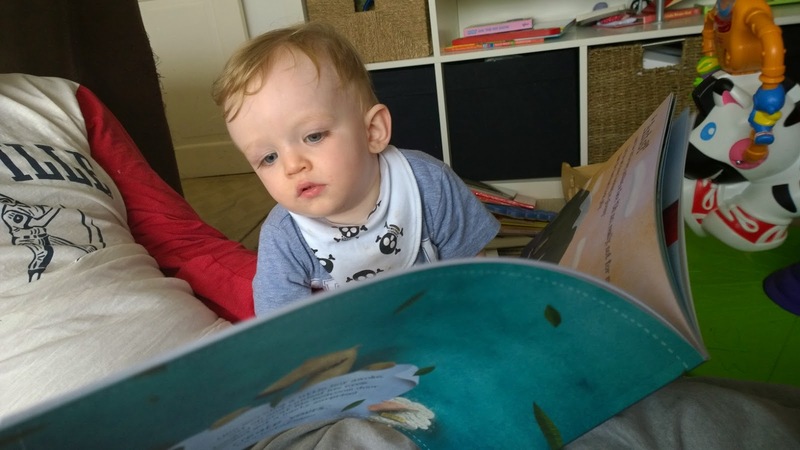 It's a decent length story too - possibly one to spread over a couple of nights, particularly if your little one is particularly little - and the whole book design and format feels premium and very special indeed. As you'd expect, The Incredible Intergalactic Journey Home is a space adventure about, well, someone trying to get home. And, as you'd expect, the book can be personalised but even further that the previous book. This time, as well as selecting the name and gender of the child you will be gifting it to, you can choose whether they are blonde, brown or dark haired and even the number of their house makes an appearance in the story. In fact, their own house itself makes an appearance, as the book will include an aerial view of where the child lives as part of the story. 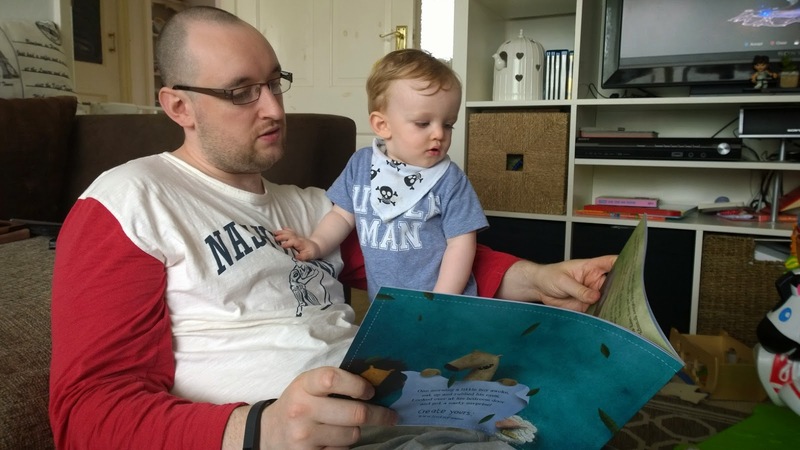 With Ethan and his always floppy, just out of bed hair, the boy in the book is remarkably familiar and hubs and I have enjoyed reading this latest story, deciding to keep this safe until Christmas Day. 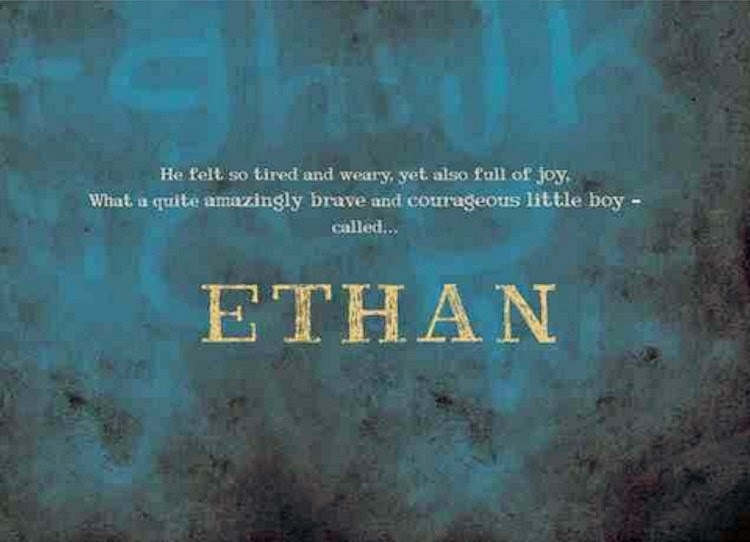 It's such a special book and as Ethan loved The Little Boy Who Lost His Name so much, we thought we would keep this aside as a present. The Incredible Intergalactic Journey Home is priced at £19.99, including a personalised message on the inside cover, full personalisation of the story and postage, which is pretty good for a book that's out of this world. We decided a while ago to let Ethan show us when he was ready to start potty training. As an almost two and a half year old, it shouldn't be too long now but we aren't in a rush either. With every stage, we've been more or less led by Ethan. We've read up a little and asked others what they have done, so we have a general idea of what to expect and the pitfalls and reward reinforcement ideas. 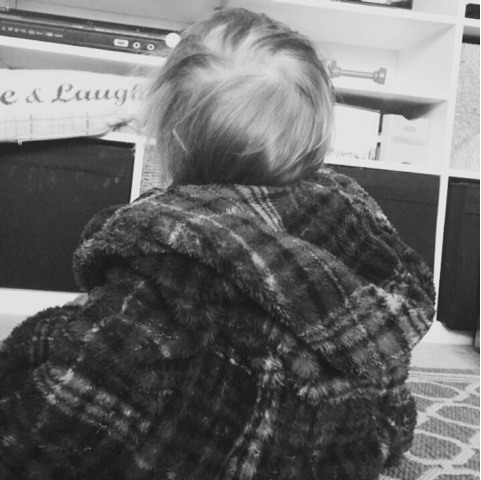 With weaning, we started the process exactly at six months, as is the general advice but also because Ethan seemed ready, but we went at his pace and let him work things out in his own time. And we are going to try and do the same with potty training. 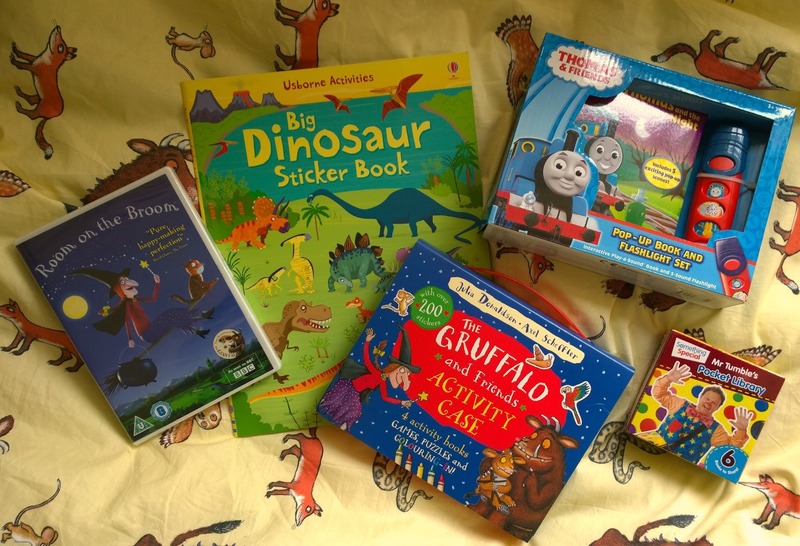 How do you choose to relax, once your little ones are in bed? Read a book? Pour a glass of wine? Or draw yourself a bath? Personally, I think all three sound pretty good! The latter is always accompanied with some rubber ducks now, but I still like to have a soak in the tub. 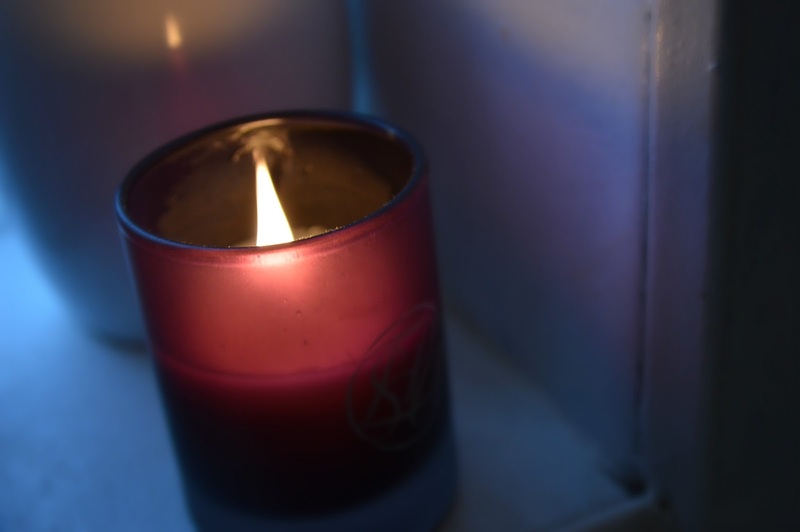 I have quite sensitive skin so I'm always careful to pick bubble baths and shower creams that are going to be gentle but also give me a nice treat. And Cussons Carex invited me to enjoy some bubbles and sent me their new bath time treats to try out, the next time I had chance to close the bathroom door and indulge in a little me time. This will be Ethan’s third Christmas and with each year, our excitement and his grows. 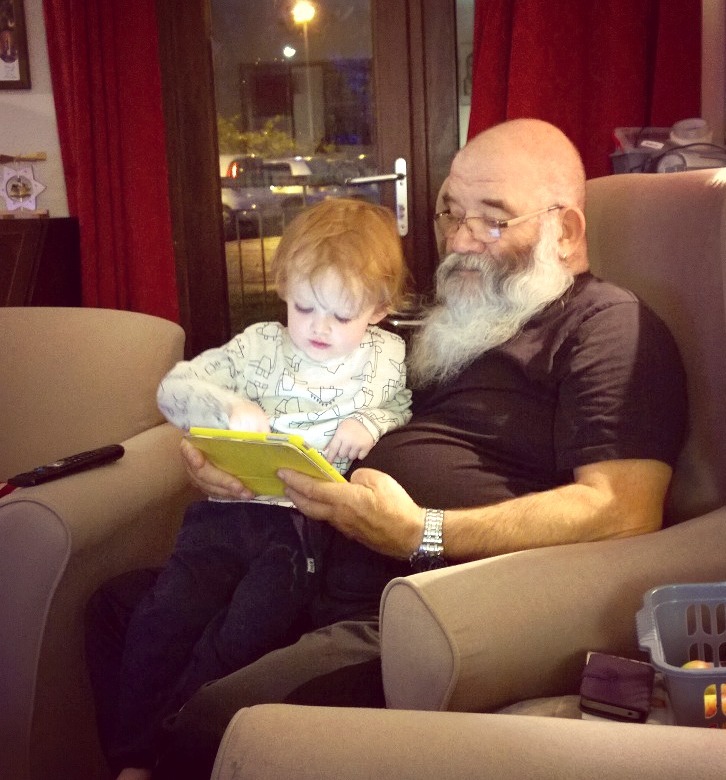 He still doesn’t really know what it’s all about – he is only two and a half – but he knows who Santa is and there’s no denying that come 25th December, he’s going to be an excited ball of energy, dressed in his festive PJ’s and exclaiming at his gifts in glee. We are all about the traditions in our house – opening the advent calendar, watching Muppet Christmas Carol on Christmas Eve – and now we have Ethan, visiting Santa. This one is quite possibly at the top of our list, with a Thomas fan in our house and having visited Thomas Land a couple of times before, we know it’s a great day out. Their MagicalChristmas event starts on Saturday 21st November, where the park will be turned into a winter wonderland, filled with festive decorations and music – and even snow, three times a day! 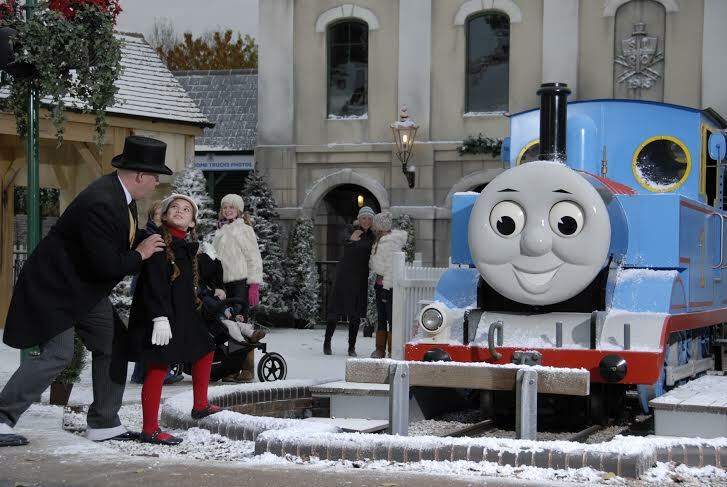 Thomas Land was expanded earlier this year so the Christmas plans seem to be bigger and better too. There’s resident reindeer in the zoo, including newest arrival baby Phoenix, to help assist Father Christmas and there’s going to be an outdoor ice rink (£2 charge for 15 minutes) and a 30 foot light show Christmas tree set to festive music that will play throughout the day, I’m told. You can also catch a 15-minute showing of The Polar Express in the 4D Cinema, if you run out of things to do before seeing Santa in the Castle of Dreams. Thomas Land has been so popular in the past for a visit to see Father Christmas, that there’s two extra grottos this year to help keep queues down. And before you leave, there’s a fireworks display at the end of each day. Phew! Dates and times: open Fridays, Saturdays, Sundays and Mondays from Saturday 21st November to Monday 14th December, then every day from Thursday 17th December to Wednesday 23rd December and Sunday 27th December to Thursday 31st December. See here for further information. Ticket prices: prices start from £10 for 2-3 year olds, £15 for 4-11 year olds and £20 for 12’s and over, which includes admission to Thomas Land and a visit to Santa. Children under two years old go free. Each child who visits the Castle of Dreams will also receive a free gift and a golden ticket to return for the new season in 2016. Pre-booking essential. 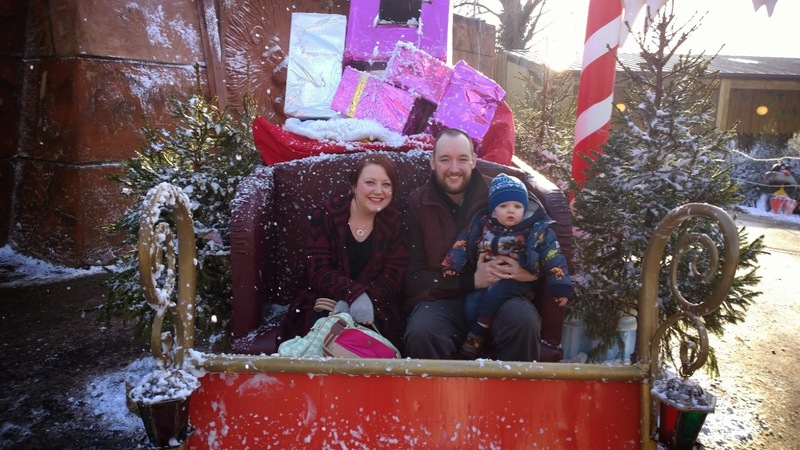 Out of our many Santa visits last year, one of our favourite, really good value for money experiences was during the Santa Safari at West Midlands Safari Park. Dates and times: open weekends from 14th November and every day from 28th November to 24th December 2015. Find full details here. 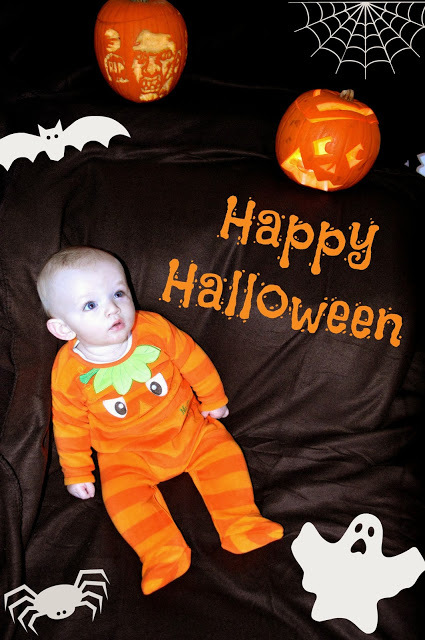 Cost: Adults (16-64yrs) – £19.99, Children (3-15yrs) – £15.99, Under 3’s – £7.50. Plus, entrance includes a free return ticket (valid until 7th February 2016). 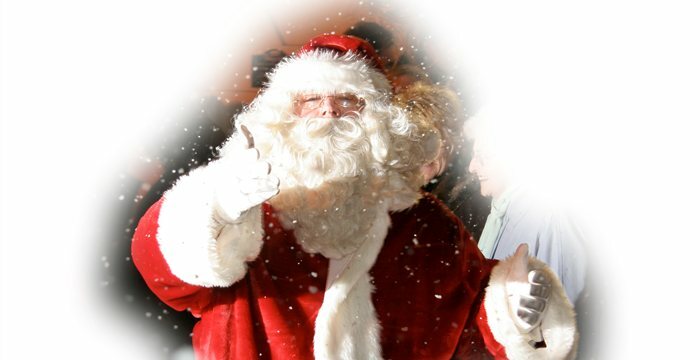 Go on a Santa Hunt and make a trip to see the man in red a fun game for the whole family. It’s like a period style scavenger hunt, where you make your way around the museum grounds to finally find where Santa resides. I just love the imagination of this and would love to go one day, as it really brings the spirit of the season to life. We’ve been to one of the Christmas Evenings (two out of three dates have also sold out) in the past and it was a lovely experience. Dates and times: Sun 22 Nov, Sat 28 & Sun 29 Nov, Sat 5 & Sun 6 Dec, Sat 12 & Sun 13 Dec, Sat 19 – Thu 24 Dec (some dates are already sold out!). We went to the lodge in January as they had a Frozen themed event going on and Ethan adores it, like most children - particularly Sven, the reindeer. He loved seeing and meeting all the reindeer and we had a lovely family photo taken on a sleigh, so I'd certainly like to go back again this Christmas. Several Christmas dates have already been fully booked so you best hop to it if you want to take your little ones to see Santa and all his reindeer too. Dates: check here for available dates in November and December. Ticket prices: £9.95 for adults, £12.95 for 2-12 year olds, under 2's are £4.95. Sleigh rides cost £6 for two children or one child and one adult. Back for its eleventh year at the SnowDome, the Santa’s Winter Wonderland event starts on Friday 20th November and runs until New Years Eve, with guaranteed snow every day. The experience lasts approximately an hour and a half and all guests get the chance to play and slide around in the snow. Why not hitch a ride on a sledge or throw a snowball or two, whilst strolling through the festively decorated Christmas snow trail. There’s even a theatre within Santa’s Winter Wonderland where parents and kids alike can catch up with Santa and his friends in the brand new Santa show. Then it’s time to meet Santa’s real reindeer and many more of his friends in the animal village. Ticket prices: Saver Tickets = £12.95, Standard Tickets = £16.95. Children under two years old go free. 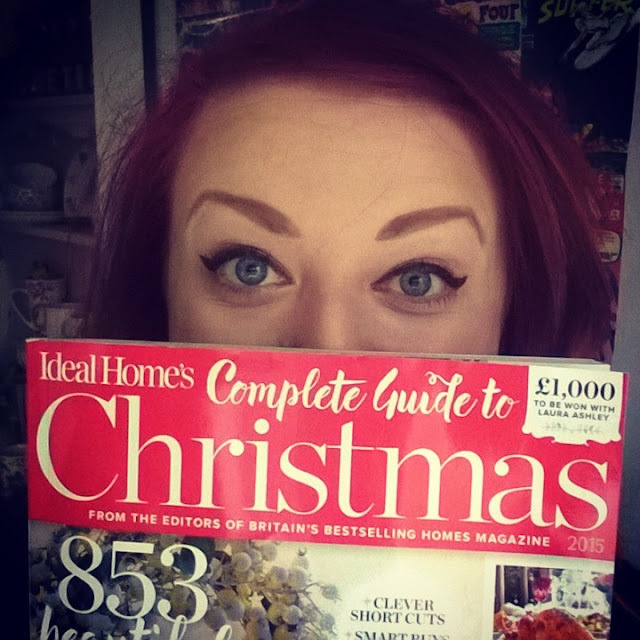 I’ve always loved garden centres, particularly at Christmas, and we had a really nice time when we visited Webbs last year. 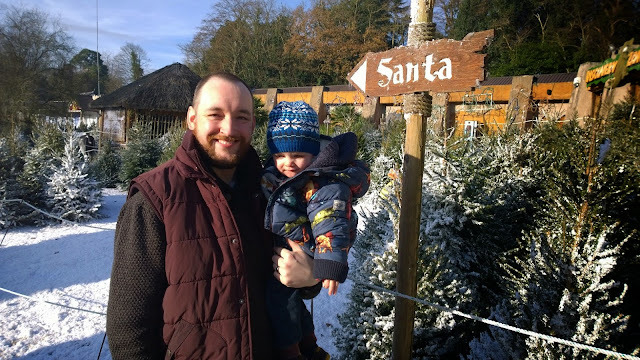 They have a winter wonderland themed grotto and really friendly Santa’s, who don’t rush you at all and make the children feel very welcome. You can have your photo taken (additional cost) and then there’s a choice of presents too, valued at least £5 – a really nice touch, so your little one can be sure to pick something they like (Ethan could have taken more than one gift if we’d let him!). They’ll also have an ice rink again this year from the 7th November to 3rd January. Ticket prices: £7.50 for children, including gift and one adult (additional adult £2). From past experience, you can just buy a ticket on the day or book in advance if you wish. Prices for ice skating start from £3. 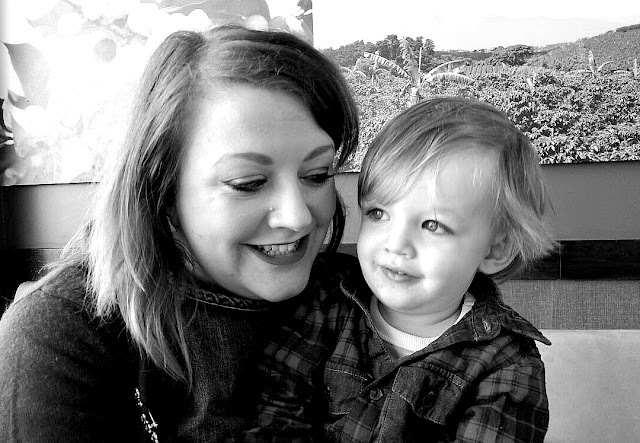 We had a lovely day out on the Severn Valley Railway earlier this year for Ethan’ssecond birthday, so a trip on one of their Santa Steam Specials days sounds pretty amazing. The journey takes you from Kidderminster to Arley and when you arrive at the destination, your child gets to meet Father Chistmas in his grotto and receive a present. Dates and times: December 5th, 6th, 12th, 13th, 19th, 20th & 24th. Trains depart from Kidderminster at 9.45am, 10.15am, 10.45am, 11.15am, 11.45am, 12.15pm, 12,45pm, *1.15pm, 2.00pm, 2.30pm, 3.00pm, +3.30pm &+4.00pm. * On December 24th train departs at 1.30pm. Ticket prices: start from £13, depending on date chosen, so best check here for full details. Advance booking essential! 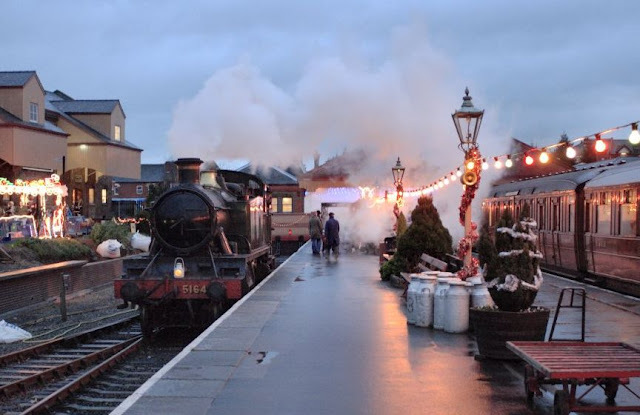 Keeping with the steam train theme, Chasewater Railway is running a series of Santa Specials this season. You can enjoy a ride through the beautiful Chasewater Country Park on the train hauled by one of their vintage steam engines and then visit Santa in his grotto. Children receive a super bag of age-appropriate wrapped presents plus there’s seasonal refreshments for everyone; sweets and a drink for the children whilst adults can indulge in tea, coffee, sherry or a warming ginger wine plus a cheeky a mince pie. Dates and prices: best visit this link for detailed information, but prices are around £9 children and £7 adults with several trips most days from 1st December. I’ve never been myself but have heard that this is a great place to go at Christmas time. 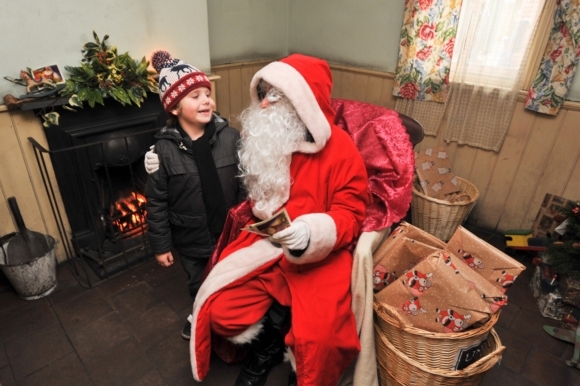 As well as their Christmas Fair, you can also meet Santa in the Victorian Servants’ Quarters. For the price of your entry, children get to see Santa and receive a nice gift, plus you can ecplore the Victorian Servants’ Quarters and the Staffordshire County Museum, where the children can meet Mrs Claus, stir the Christmas pudding and make a wish. There’s also a train ride around the beautiful estate grounds on the Christmas Land Train plus Christmas craft activities and a fair ride for children and a festive trail around the gardens. Ticket prices: Children £9.50, adults £6 (worth noting there’s no booking fee or car parking charge either). If that wasn’t enough, Umberslade Farm is another place we visited this time last year. We loved seeing the live nativity, meeting the animals including reindeer, then taking a trip to see Santa. Ethan received a really nice book and it was a really nice day out, not just a quick trip to a busy grotto. 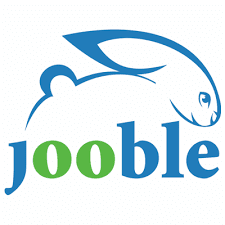 Keep an eye on their events page for news about this Christmas’ activities. 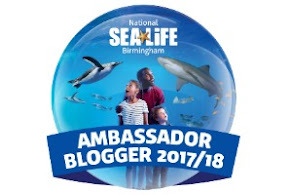 Cadbury World always has a lot going on too and even the Sea Life Centre gets in on the action with their Merry Fishmas event. Hopefully that’s plenty of Santa inspiration for you and if there’s anywhere else in the Midlands that you would recommend, let me know and I’ll keep this post updated. 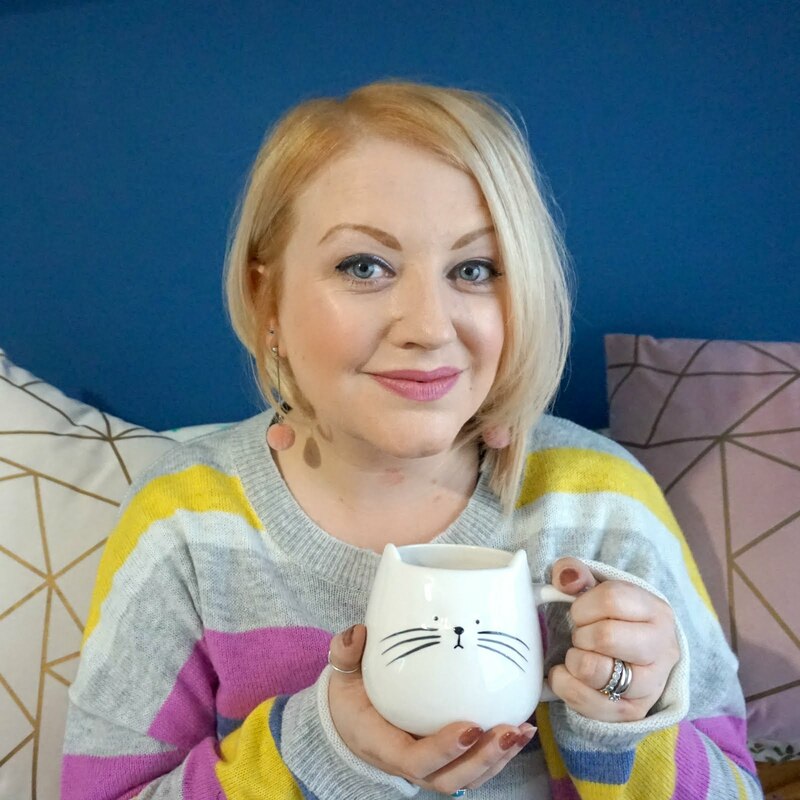 Since the start of the year, I’ve posted weekly round-ups to bring together highlights, memories and little loves in one post but recently, I haven’t always had time. Sometimes, there’s lots to say and other weeks, not so much. That’s life, really, isn’t it? I don’t know about you but the year has flown and it seems that this month, we’re busier than ever. Work is always busy but our socially calendar, or just list of things to do, has been pretty crammed this month and I’ve been spinning a lot of plates. In typical British fashion, for the past week, the nation has been in some kind of turmoil over the new charges for plastic bags. Always a nation that likes to kick up a fuss at the smallest of things, there's been all kinds of headlines, from supermarkets having to put security tags on their bags to stop them being taken without payment to people doing their best to dodge the 5p charge by simply taking the trolley home with them. There were even people drafted into the morning news broadcasts to explain the 'complexities' of the new tax. Dear me, we really do know how to make a mountain out of a molehill, don't we? Most people can see why the tax has been introduced and most will agree that ultimately, it's a good thing. And the solution is simple - if you want to avoid paying for plastic bags, just remember to take a bag, next time you go shopping. Just like I have done this past week, determined to actually remember to take my own bags with me rather than just leaving them, forgotten in the boot of my car. 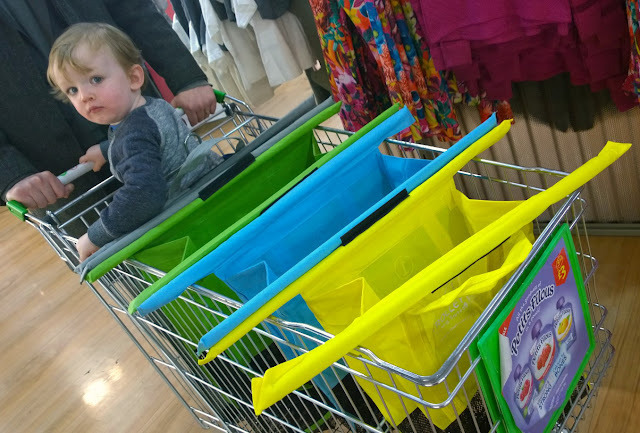 I've been introduced to Trolley Bags and I have to say, they're pretty ingenious. More than just a humble bag for life, these babies are actually a trolley system. That's a typical conversation in our house at the moment. Usually followed by another very similar conversation, but this time about ninner (dinner) / putting his shoes on / going to the shops / anything and everything. I'm a lot like a hedgehog. Sometimes prickly on the outside (I don't mean to be), but soft in the centre and a natural hibernator. Come autumn, it's all about blankets, candles, snuggly jumpers, fingerless gloves and cosy nights in. So, when I saw the little fella above, I couldn't resist. 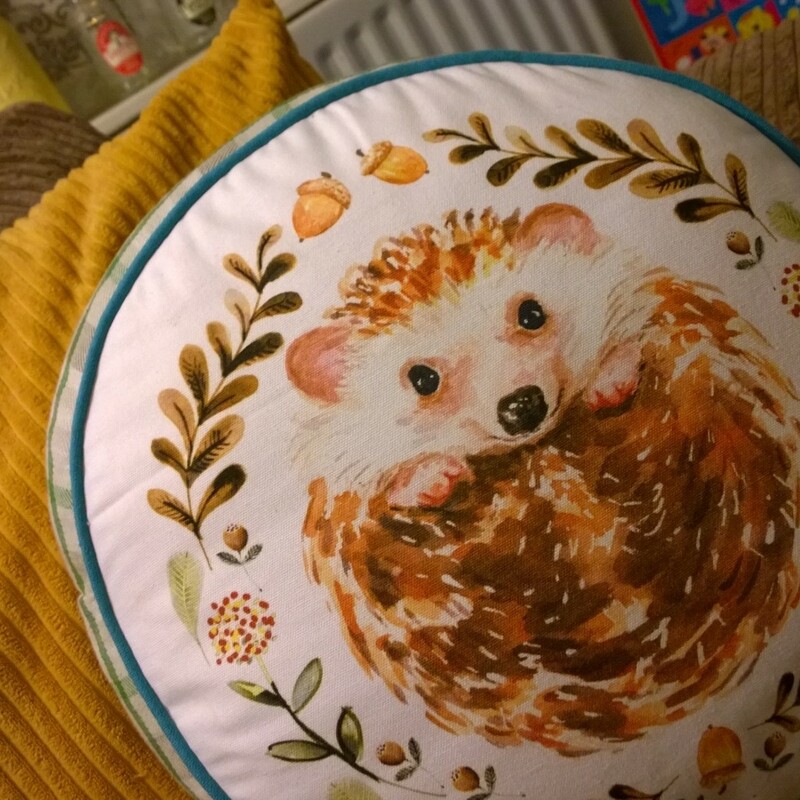 It's a gorgeous and sweet cushion from Asda that was £8 but I got it in the sale for £4. Every time I'd go in store, I'd see this cushion and smile so I had to bring it home and it's added a seasonal touch to our home. There's quite a few things that have caught my eye at Asda recently, to be honest. I've always been a fan of their on-trend but affordable home range and the collection the above cushion is from is particularly lovely. 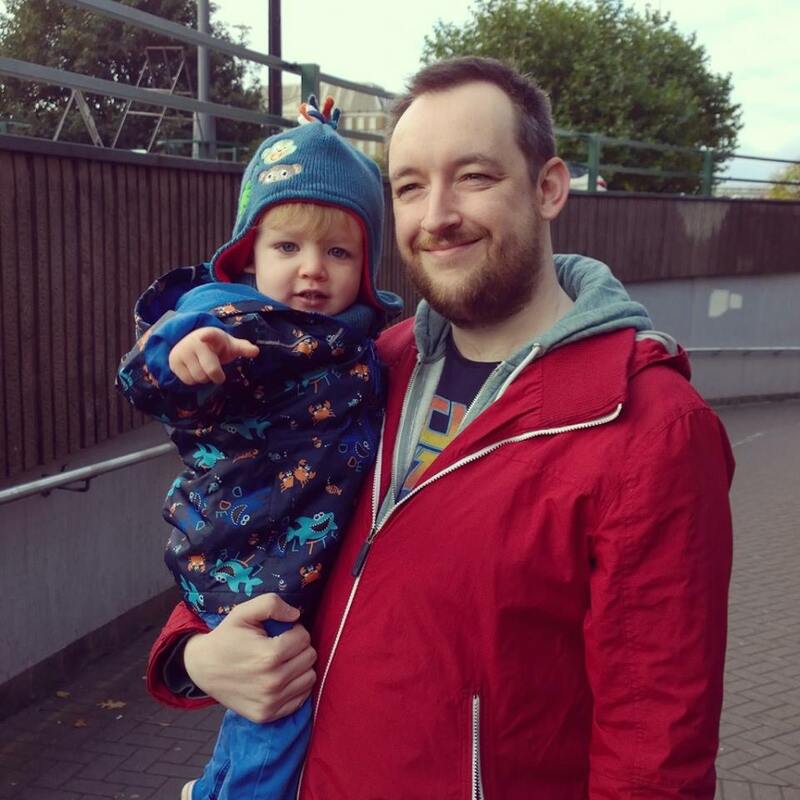 Another month, another selection of phone selfies but also a few that hubs has taken especially so I have some new, nice photos of Ethan and I together. 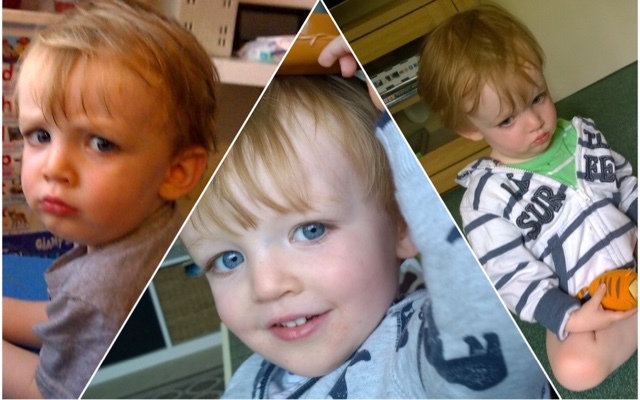 We have had a lovely month together and Ethan has been super affectionate this month, with lots of cuddles and kisses for me. He's been wonderful and I am feeling very lucky this month. It's so lovely when your little one comes to you for love and affection and I am enjoying every single moment of it.